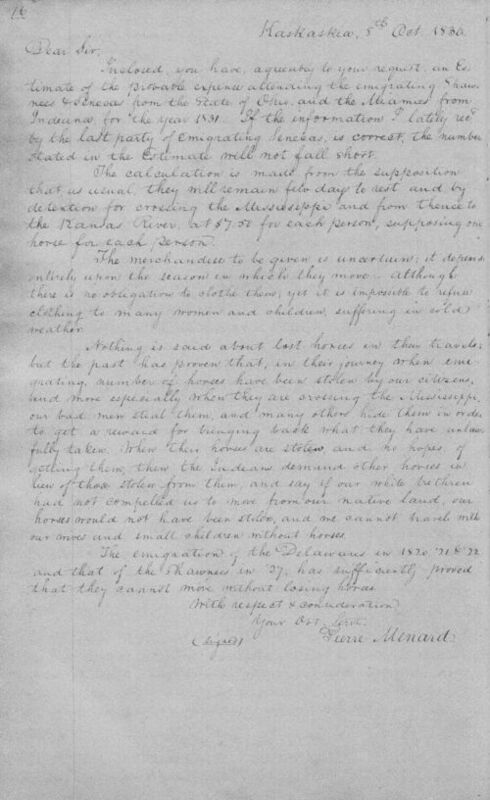 Pierre Menard wrote this letter to William Clark, Superintendent of Indian Affairs, regarding the cost of relocating Indian tribes in new lands to the west. This letter describes the actual removal process and the hardships of the Indians' journey, including harsh weather and the theft of their horses. This informative letter demonstrates the cost of removal and the struggles that tribes faced as they migrated to Kansas. It could be grouped with other sources that describe the removal process.